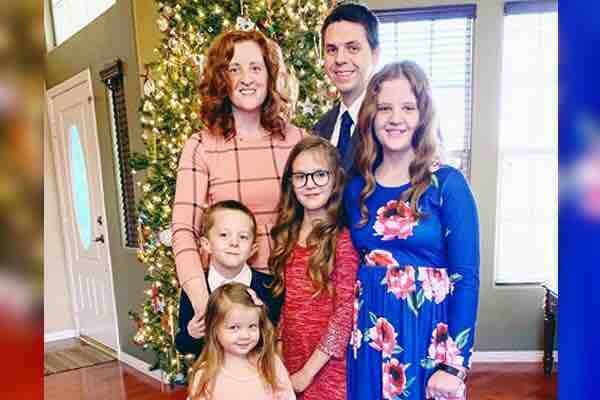 It is with great sadness and heavy hearts that we must inform you that the Adam Johanson family was involved in a terrible automobile accident on January 3, 2019, as they were traveling back to their home in Mississippi after visiting friends and family in Las Vegas for the holidays. As a result of the accident, Adam, Elizabeth (Marshall) and their 8-year old daughter, Jane, have passed away. In the coming days, as we work to process this event logistically and to understand the required arrangements that need to be made, we will provide additional information and details about memorial services. At this time, however, our immediate attention is on the surviving Johanson children. Megan (12), Alec (5), and Charlotte (3) are in stable physical condition and are together with family members in a Texas hospital. We anticipate that they will be released to family within the next few days once the healthcare professionals determine that they are in a suitable condition to be discharged. As many already have asked and are eager to help in some way, we have set up a GoFundMe campaign on behalf of the Adam Johanson family. Any donations to the campaign will directly go toward memorial and funeral expenses, as well as support services for the Johanson children. 1/5/2019 Update: The Johanson/Marshall family is touched deeply by the overwhelming support, prayers and words of comfort offered by so many friends, family and even perfect strangers moved with compassion by these events. Clearly the Adam Johanson family has impacted so many others, far and wide, as they navigated the trials of this life together, and their influence and examples will continue to shape us all for years to come. We are happy to report that Megan, Alec and Charlotte Johanson have been discharged from the Texas hospital and, this afternoon, flew back to be with family in Las Vegas. Soon, we hope to provide information and details about memorial services, but there is still much to work out first. We are all in awe at the support generated and messages shared through this GoFundMe campaign. You have touched us all and continue to do so through your generosity and love. 1/8/2019 Update: We invite everyone to celebrate in the lives of Adam, Elizabeth and Jane by attending a viewing to be held on Friday, January 18, 2019 from 5:30-9:00 pm at The Church of Jesus Christ of Latter-day Saints located at 7670 S. Bruce Street, Las Vegas, NV 89123. Funeral services for Adam, Elizabeth and Jane will be held Saturday, January 19th at 10:00 am at the same location. Delta State University invites its campus family and community members to gather at 6 PM on Friday, Jan. 25 to remember the lives of Dr. Adam Johanson (35), assistant professor of physics and director of the Wiley Planetarium, his wife, Elizabeth Marshall Johanson (35), and their sweet daughter, Jane (8). The remembrance will take place in Caylor Hall, Room 201. We invite everyone to celebrate in the lives of Adam, Elizabeth and Jane by attending a viewing to be held on Friday, January 18, 2019 from 5:30-9:00 pm at The Church of Jesus Christ of Latter-day Saints located at 7670 S. Bruce Street, Las Vegas, NV 89123.